Cooking disasters often result in more than just a ruined meal, they can also harm your pots and pans. Burnt-on food, oil and sugar are difficult to clean, and if a crust is not removed quickly, it may become a permanent feature of the pan. 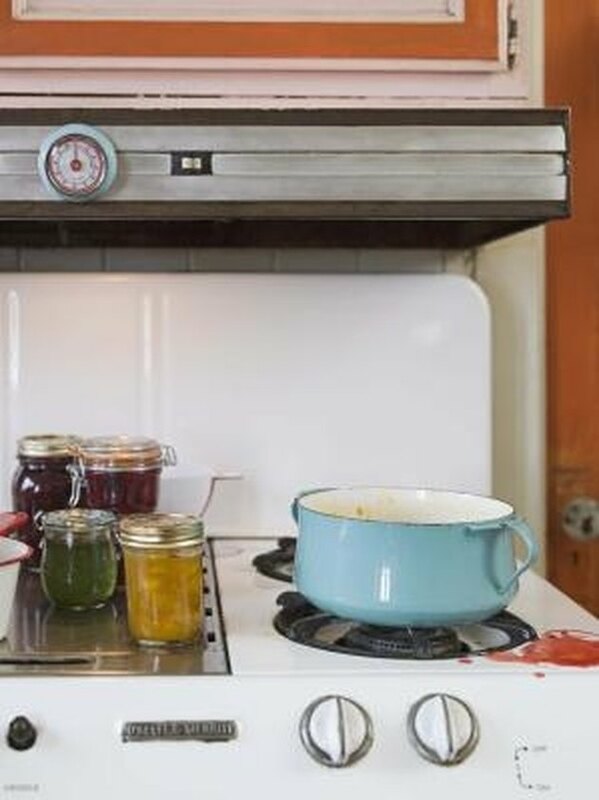 Instead of just tossing the pots and pans in the dishwasher and hoping for the best, take certain steps to ensure aluminum, stainless steel and ceramic cookware items are not ruined. You may need to throw away nonstick pots and pans if the coating is compromised by the burned crust. Clean pots and pans with burned crusts immediately to avoid permanent damage. Fill your sink with warm water and a squirt of dish-washing soap. Place the pots and pans in the soapy water and let them soak for at least 1 hour. Sometimes, a good soak is all that is needed to loosen food particles and remove the burned crust from pots and pans. Bring water and a splash of white vinegar to a boil in the pots and pans if necessary to further loosen the burned crusts. Remove the pots and pans from the heat and let cool before rinsing. Scrub the pots and pans with a scrubbing pad. If your cookware is ceramic, do not to rub too hard. For aluminum and stainless steel pots and pans, scrub as hard as you can. Mix enough baking soda with water to create a paste inside the pots and pans. Use your abrasive scrubbing pad to work this mixture into the burned crust. Baking soda is a mild abrasive that breaks apart the crust. If you rinse the pots and pans during this step, make a new paste until all of the crust is removed.